Save time, effort and money with these simple accessories. 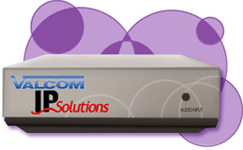 Get on and off the job quickly with simple installations that add great quality to your existing VoIP Paging Adapters from Valcom. Ideal for industrial, manufacturing and warehouse areas. Offers the easiest mounting method in the industry with Valcom's Omni-Lock mounting system. 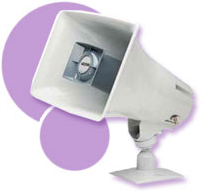 Click here to view Valcom's High-Efficiency Paging Horn PDF.